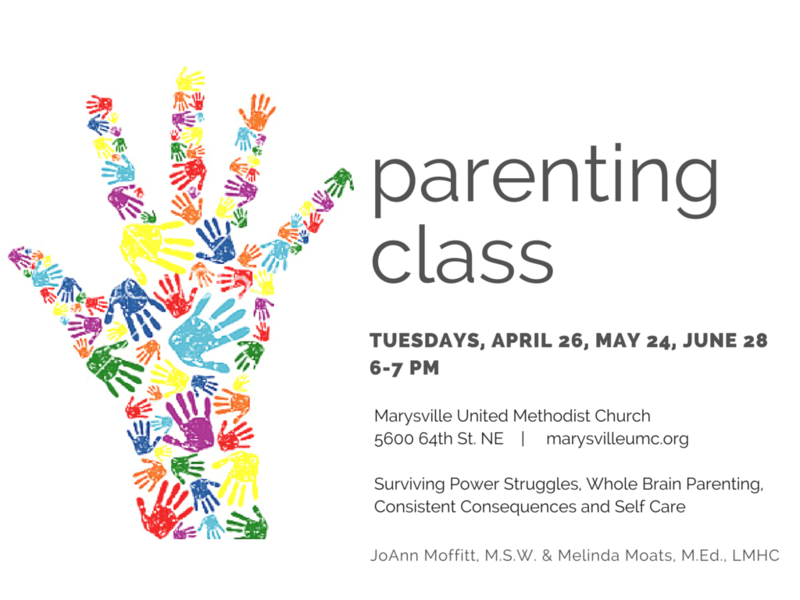 We're hosting a parenting class for our community on Tuesdays, April 26, May 24 and June 28 from 6-7pm. JoAnn Moffitt, Ed. D and Melinda Moats, M.S.W. will facilitate conversations on Surviving Power Struggles, Whole Brain Parenting, Consistent Consequences and Self Care. Open to parents of all age children.